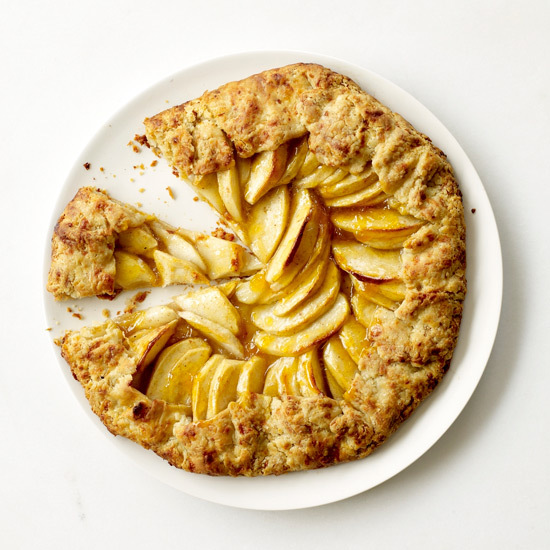 F&W's November ingredient obsession is apples and we're apple-spotting on Instagram with the hashtag #FWMuse. Chefs and fans are already posting their best apple pics and we want to see yours. Here, some of the apple dishes that caught our eye. Photographer and food stylist Kate Lewis topped vegan waffles with apple-cider-honey-crisp-caramel syrup. At the Los Angeles outpost of Craft, pastry chef Shannon Sindle is braising apples in Madiera and vanilla bean. Chef Harold Moore of New York City’s Commerce snapped a shot of his perfect-for-Thanksgiving brussels sprouts salad with Okinowan sweet potatoes, sliced apples and bacon vinaigrette. The Missoula Food Co-op in Montana captured a beautiful, nearly-bursting caramel apple pie. At The Braeburn in Langley, WA (which is appropriately named for this month’s apple-mania) chefs are cooking up an apple storm with apple slaw, apple-stuffed french toast, apple streusel bread and rhubarb apple ginger crisp. Post your photos on Instagram and Twitter using #FWMuse for a chance to be featured on foodandwine.com.